The innovative ConceptDraw Arrows10 Technology included in ConceptDraw DIAGRAM Package is a powerful drawing software that changes the way diagrams are produced. While making the drawing process easier and faster. ConceptDraw DIAGRAM is a powerful software that helps you create professional looking diagrams. Pre-designed objects in ConceptDraw DIAGRAM allows you to focus on your job, not the drawing. ConceptDraw Arrows10 Technology gives you freedom and flexibility to drawing your business graphics. Sample 1. 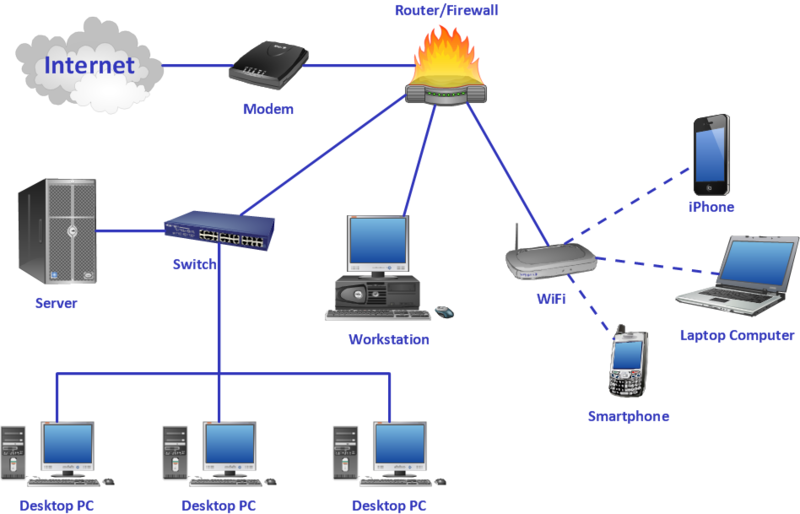 Computer network system design diagram. The innovative ConceptDraw Arrows10 Technology included in ConceptDraw DIAGRAM v12 is a powerful drawing tool that changes the way diagrams are produced. While making the drawing process easier and faster. This is more than enough versatility to draw any type of diagram with any degree of complexity.